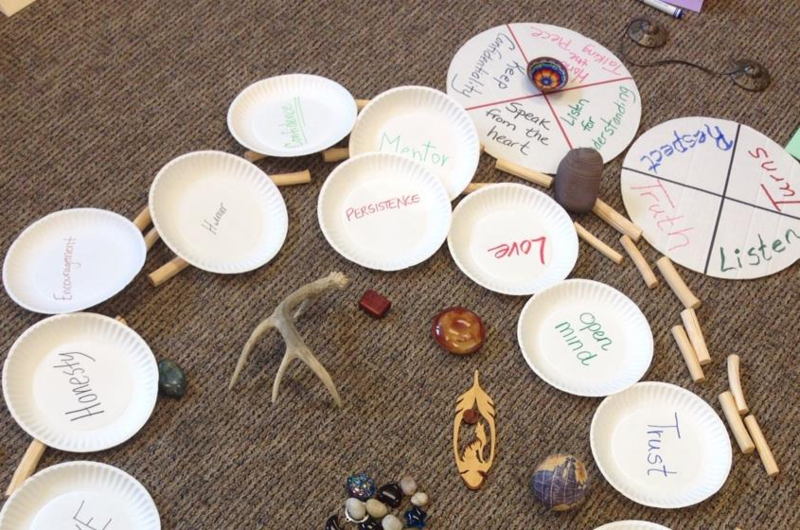 Circle Space Services - Capital "C" Peacemaking Circles for equity and effectiveness. Capital “C” Peacemaking Circles for equity and effectiveness. I’ve gotten started on a new addition to the Restorative Justice in Schools literature. A book out of a series of packaged school programs. It is book 22 in this series, and you can see the experience and support put into the creation of selling and marketing the book, its app, the authors, etc. Good to get some more language, ideas and a shift away from punitive discipline in schools. I didn’t find it helpful for teachers in low income communities. For example, not all kids have a childhood picture of eating a “smash cake” that they could bring to school. Like some other recent additions to the field, this book offers that the Circle process is simply having students put chairs in a circle and tossing a talking piece. This is becoming more and more common as a practice and method of doing circles. You can do circles that way. You can do much more than that in creating Circles to build community and offer healing and transformation. You don’t HAVE to do the things listed below, In my experience, in Native communities, and those communities are uniquely designed and so deep in Circle tradition, people won’t speak out of turn, they honor the one sharing, they speak from the heart. However, not all communities have that capacity or innate nature and relationship to Circles as a way of life. Grounded in Values (described here) and supported with Guidelines. Structured use of the Talking Piece. This includes using a meaningful item, having it pass all the way around the Circle for equal opportunity. Sincerely promote equity during Circles, be in the Circle with youth, know you don’t know the outcome, be present. Use methods that engage people as entire beings: mental, physical, emotional, spiritual. Mindfulness, coherence, brain based. You can listen to me talk about a few of these elements, on an upcoming Restorative Justice on the Rise webcast. I’m also authoring a book, due out in the fall, Creating Circle Space. You can contact me to set up a coaching time if you’d like more information!